Pocket radios which are small, light and include a speaker are one of the best form factors with which to enjoy digital stations. They are perfectly suited to listening to sport commentaries, with a headphone output for listening in the stands and a speaker for listening at home or work. 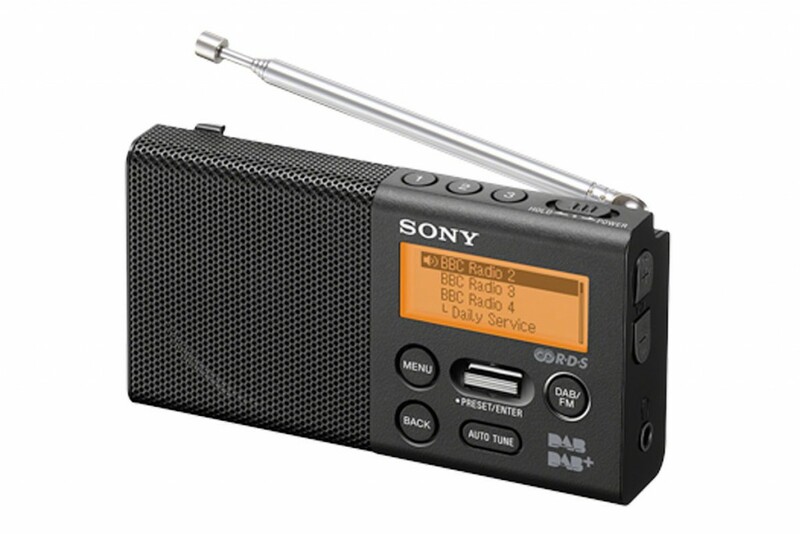 The Sony XDR-P1DBP packs a built-in lithium-ion battery which is rechargeable via USB. The battery can power the radio for 20 hours with headphones plugged in, or 15 hours using the speaker. It also boasts a big sound from its small size, thanks to a digital amplifier. The 1.5W power output is higher than that offered by many other small radios. A discrete fold out stand is built in to the back to help stabilise the set when the telescopic antenna is extended. The clever design continues with tactile switches, from the simple DAB/FM button to the handy favourites buttons on the top. Stations can be selected with the jog lever which moves up and down to go through the list of services, and pushed in to select one to listen to. The big screen makes finding stations easier by displaying them as a list rather than one by one. Verdict: Boasting reasonable sound and a rechargeable battery in such a small package make this a great radio for sport commentaries.